Putting a wild twist on known and loved recipes. There’s nothing like a hearty stew on a cold winter’s day. So, we’ve worked with the ‘Taste of Game’ to create this rich, warming supper that celebrates healthy, seasonal ingredients. 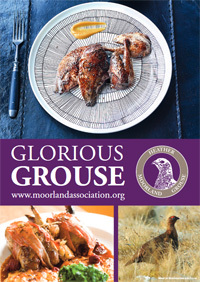 For chefs and diners throughout the length and breadth of the united Kingdom, the beginning of August signals the start of the shooting season and the availability of glorious grouse is eagerly anticipated as it allows chefs a chance to prepare the king of game birds to grace their menus. 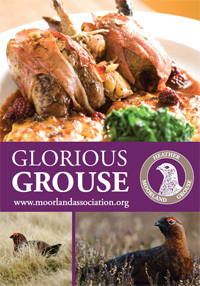 The 12th of August heralds the start of the game-shooting season in the UK, and what better way to start than with the glorious grouse. 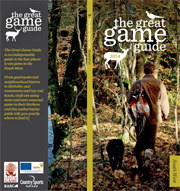 The Great Game Guide is an indispensable guide to the best places to eat game in the South West. From gastropubs and neighbourhood bistros to Michelin-star restaurants and top-end hotels, chefs are using more and more seasonal game in their kitchens and this authoritative guide tells you exactly where to find it. 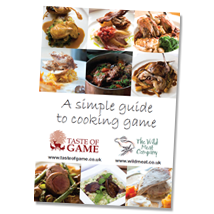 Many people are put off game recipes which can be overly fussy and cheffy – they don’t have to be! This leaflet aims to inspire you to cook game more often and show you just how simple and delicious it can be.